Cheap flights to France: Berlin-Nice for only €57! 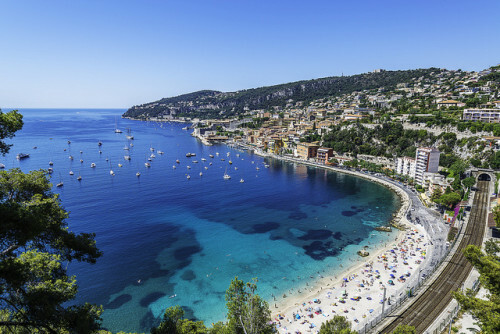 Easyjet now offers cheap flights to South of France. 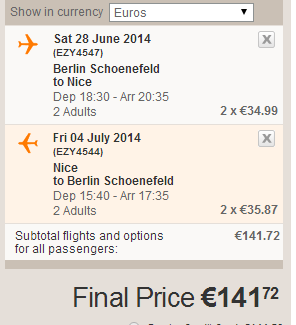 Return flights from Berlin (Schönefeld) to Nice are available for only €57! This price is valid if you travel in group of 2 or more people with cabin luggage up to 55 cm. Cheap travel dates are in the end of June (€71), which guarantees you perfect weather and then even cheaper later from October. Nice offers plenty of accommodation for moderate prices. There are options for both luxurious and budget hotels from just 20€ per night. Nantes is close to many other interesting cities and places so renting a car to explore the surrounding is a good idea. « Wizz Air 20% off on all flights – only today!